Anyone else get a buzzing by these switches when listening to music? I dont even have to have the bass up loud, just buzzes. I really wish I could figure this out. It’s not something that ruins the car, or is a huge deal, but it’s a consistent annoyance. The amount of rattled and buzzes on these still shocks me. I don't have buzzes on my window switches but I have a nagging rattle from the sunroof and another one from the steering wheel. If I press the Acura logo on the steering wheel firmly, it will stop rattling. Haven't found a solution for the rattle from the sunroof which is way worse. Dealer is an hour from me so I haven't taken it in yet. No way! I guess I got lucky not having the sunroof rattle. I do, however, have the sunglass holder rattle, which I have just ignored. I had a really bad rattle in my old TSX from the sunglass/homelink/dome light asembly. Drove me crazy. Old thing that stopped it was to push up on it and hold it. I just got used to it. The rear deck rattled terribly in my TLX, but dealer fixed it for me. jreyes: can you identify the source of the rattle? If it’s the plastic handle frame in the pic, maybe you can wedge something in there or dab some gorilla glue through a pointy applicator behind it. 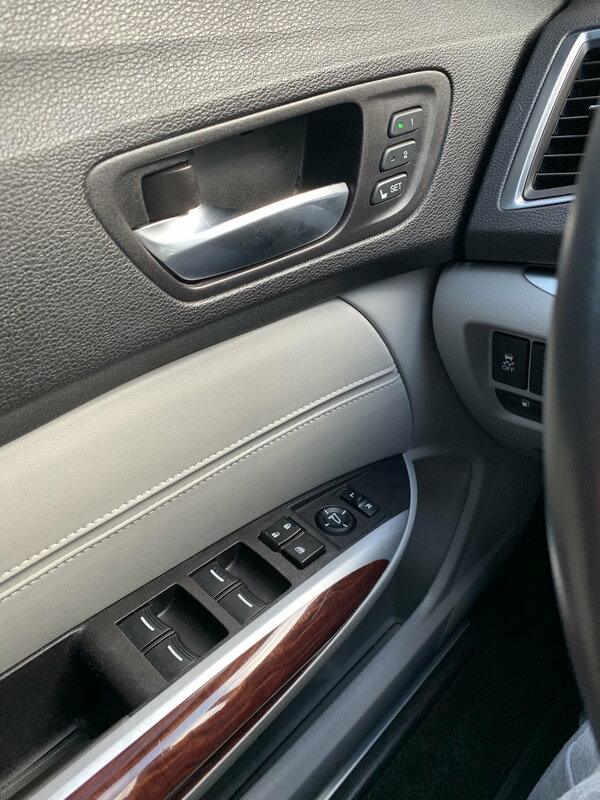 If it’s the lock, handle or memory seat buttons, you could have someone take the door card off to isolate the problem. Maybe replace the culprit that’s vibrating or add a dampener like Dynamat or foam tape. You’d be surprised how easy the door card and door separate. The service manual may say they just pop apart. 99 window switches not illuminate? electrical buzz just as door opened?